What a good morning this has turned out to be. Lets just say that I normally take a morning train at 7:13, but today that was the time I woke up, since I forgot to set my alarm. Now I know that the next train from Goldens Bridge leaves at 7:25, since I used to take that train. I am sitting on that 7:25 train right now. I didn’t brush my hair, wash my face, or make my lunch. And I have to pee, very badly. Which probably means I have to use the bathroom in White Plains. Which is just as bad as an outhouse, port-a-potty, or a train bathroom. In fact, I’d probably rather use an M7 bathroom over the bathroom in White Plains. Anyways, the 7:25 train is one of those diesel trains that come down from Wassaic. Over on My Effing Commute John wrote one day about taking this train, and how nobody on the train talks. If you talk you are a “rookie”. This is totally true, and it amuses me. 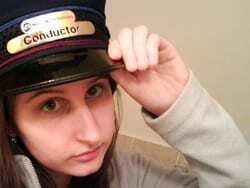 It is sort of like a different type of people ride these trains as opposed to the trains I am used to taking. I shall dub these people The Wassaic People. As previously mentioned, The Wassaic People don’t talk on the train. If you do talk, you will get scowled at. This happened to me when I was carrying on a short conversation with the conductor that came to collect my ticket. Most times, Wassaic people sleep on the train. The good majority do this, though there are a few that read, or are on their laptops. When you exit the train and watch it pass by, you can see all the little heads of the people leaning against the windows, sleeping. I find this amusing. Wassaic People like to stand in the vestibule. 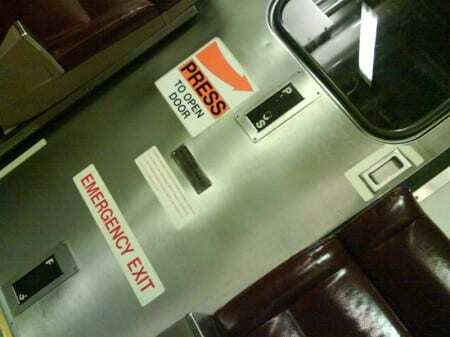 The train cars have vestibules at the end, where the doors are. There is a sign on the door saying passengers are prohibited from standing while the train is in motion, but nobody ever follows warning signs like that. If you are getting off at White Plains, people walk and wait in the vestibule right after Valhalla. You do want to be first to get off, don’t you? On the train I normally take you just sort of stand up and exit about five seconds before the train stops. I can understand this behavior in Grand Central, people want to get out before the rat race begins. But this seems to happen at every stop this train makes. Even the little stops, where perhaps only two people get off. Wassaic People also tend to be a little more angry than other train riders. Perhaps because they have to sit for a lot longer than the rest of us to get to Grand Central. Perhaps it is the fumes of the diesel engine. This increased little bit of anger or stress is probably why I get scowled at while riding this train. And if you are a new rider, you may be concerned about people taking their anger out against the doors. People kick the doors on these trains. There are buttons toward the bottom of the door that when pressed open the door. Mind you, I said pressed. One does not need to violently kick the door. But many people do. This is apparently the Wassaic way. Honestly, I don’t know which is better. I started taking the earlier train so I could at least have no difficulty in finding a seat. But when I take that train, I always get annoyed by the obnoxious school kids, or the occasional person getting drunk on their way to work at Target. I suppose it is an interesting ride either way. I really like this post. It’s funny how you can notice patterns like that, but it’s so true. I try to never ever take any train that stops in Fordham because of the Fordham People. You can spot them a mile away. If you are the *school name here* kid that got into a fight on my train, and started jumping over the seats, I hate you. I am not. But i am on the morning train. I am however, offended that you cant tell the difference between *school name here* and *school name here*. The *school name here* are the ones who *removed* get off at *station*, the *school name here* kids continue to *station*. This blog seems to be opposed greatly to *school name here*. I believe what you fail to realize that most of this negative behavior you speak of is performed by that of *school name here* School. *sentences removed* I would kindly ask that, to back up Dylan, you do try to tell the difference. Thank you. P.S. I enjoy the blog. Great Job! The next time I see a student, wearing a *school name here* shirt, get into a fight, I will be sure to take a photograph. But yes, from now on, I will not be referring to anyone by their school, if I am not entirely certain what school they were in fact from. I see plenty of students wearing *school name here* shirts at White Plains, that take my evening train. I may have been referring to them, regarding White Plains. And yes, I am aware there are a lot from *school name here* in the morning. Most of you have something on you, a shirt, a bag, what have you, that says which school you attend. Well, im sorry i was mistaken, the evening train is a completely different story and i am sure that there are many *school name here* kids at WP in the afternoon/evening. Riding the Upper Hudson line people always get up a station before hand and wait in the vestibule. Taking one of the super expresses to Beacon, usually around Peekskill people start getting up and walking to the last car or the six car to be one of the first ones out and get to their car fast. After some time the traffic then starts to back up on 9D and trying to get out of the parking lot. 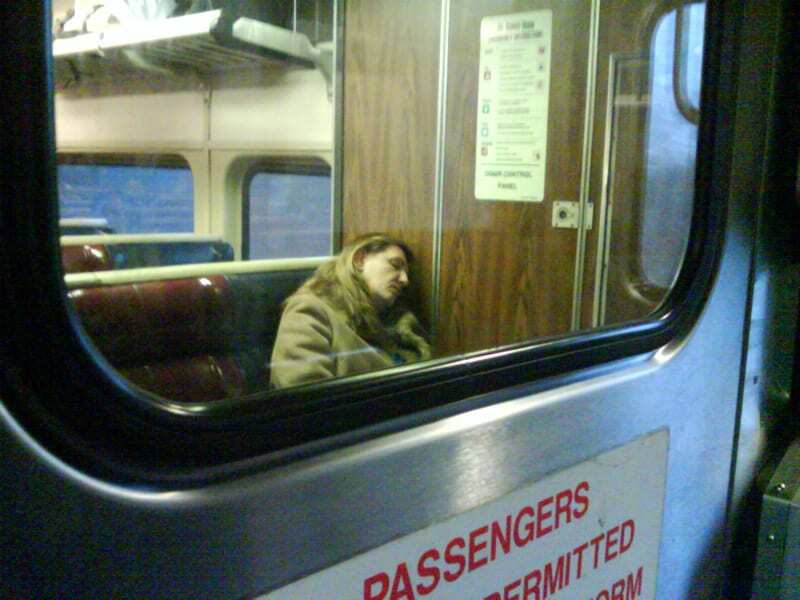 It’s true — unwritten train etiquette says you mustn’t talk on the morning train. Oh, it’s all right to say a hushed ‘good morning’ to a friend, but then shut up. My daily commuter friend Eric and I greet each other on the Wingdale platform, and then transition to silence after we find our (separate) seats. One trip, there was a group of 6 greenhorns we had never seen before, dressed for business. They were talking, animatedly so, the whole way. I asked Eric, “What’s with these people?” And he replied, wearily, “They think this is fun”. Being one of those “Wassaic people”, I read this post and thought…. why is it that no one really talks on this train? It is true heading back up on the 5:19 and 6:02. That is of course the A/C is working or the Heat isn’t working too much. Hello, and thanks for commenting. I always wondered if some of those “Wassaic people” would be annoyed at my observations… but those trains really are a sort of different culture. 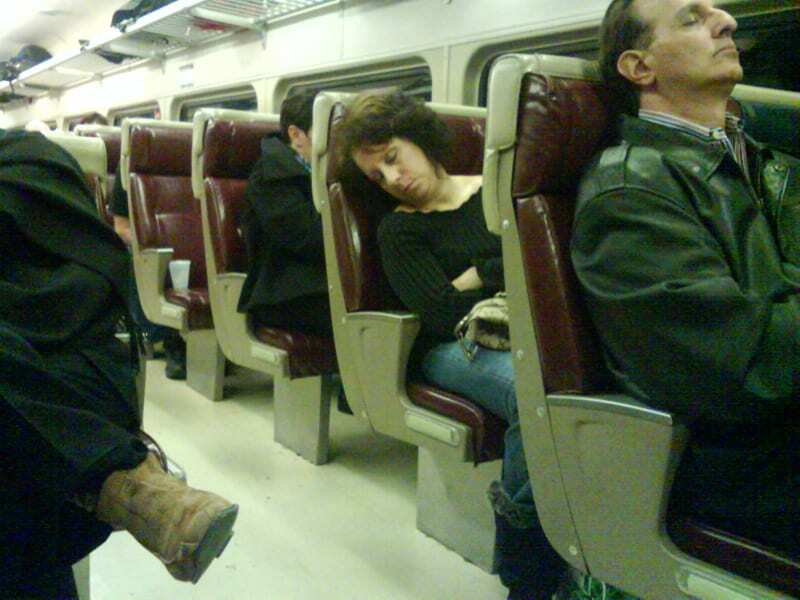 But with that long commute, I can totally understand why so many people would want to sleep. You’ve got a long ride, but I can only imagine those people that come down from Pittsfield, Mass to Wassaic to take the train. That certainly takes dedication.